Do you ever open an application, click File/Open and wonder what's the location of that document with the latest sales report? You don't remember the filename, but you know some keywords from the document. You have Google Desktop, but you don't want to open a new window with the document. 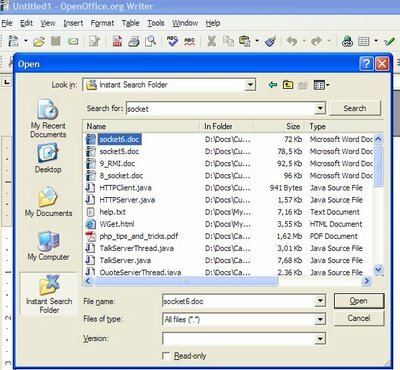 Besides, you are using OpenOffice, and the document will open with Microsoft Word. There's a new plugin for Google Desktop that adds a new entry in Open/Save standard dialogs and allows you to search files using Google Desktop. 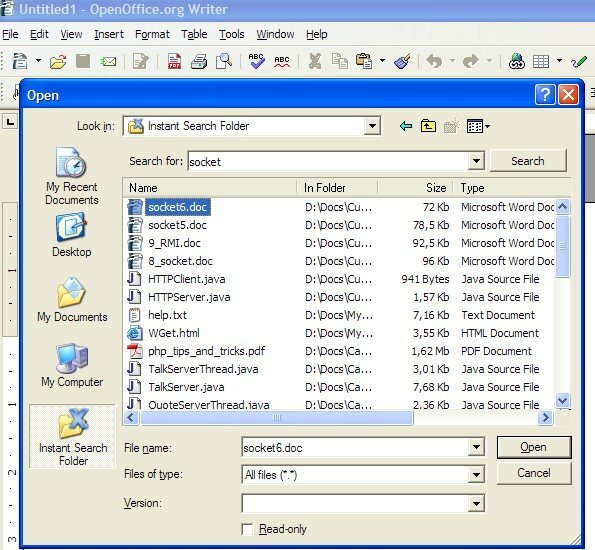 Instant Search from X-Ray Folders integrates with Windows interface and transforms Google Desktop into a true desktop enhancement tool. It's much faster than navigating between directories.